We all have a family in this life. We might not talk to them, or they could be completely dysfunctional, but we were born into a bloodline. My family has taught me life lessons that I will always remember. While each person is different, I have a mixture of the good with the bad when it comes to my tree. There are more family members I don't talk to than I would like, but that is sometimes how life works. I don't feel like I have ever missed out because of this fact. The small family I do have gives me enough love as a group of 50 could provide. We are tight in our bond and don't go even a week without talking. I've always been grateful for this and know that not everyone has this type of love in their life. However, it has taken a bumpy road to get to where we are now. 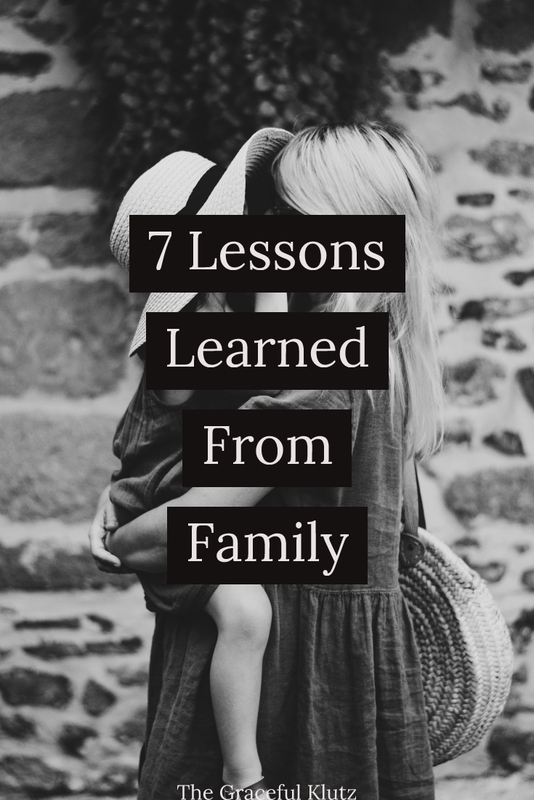 I wanted to share a few lessons I have learned from my entire family throughout the years. Some of them were a hard truth to swallow while others have helped shape me into the person I am today. This is a lesson I learned later in life that I wish I had realized sooner. For years I always felt I was missing out because I didn't have a massive family tree. While I have many members in my bloodline, I'm not close with many of them. I used to envision what it would be like to have a home filled with loving relatives on the holidays. What I didn't realize was that a big family does not always equate to more love. For the most part, it is just my mom and my brother who are in my life. We are the only ones who celebrate the holidays together (with my boyfriend as well). Now that I have seen other families, I know we have just as much (if not more) fun together. We have our fights, but we always have each other's backs. My mom and brother are my best friends. I've learned that not everyone can say that and, because of that, I feel immensely grateful. This is the case for genuine love in a household. I have not been the perfect child (and neither has my brother). However, I can tell him and my mom anything without fear of being judged. They give me aide when I feel lost and encourage me to do better, but never think of me in a negative light. I have taken this lesson with me in my other relationships as well. Knowing this, I never let judgment get in the way when a loved one talks with me. We all have things we regret and are all human. To genuinely love someone means never to judge their actions (only to help them). While I might judge others (we all do), I leave that outside when I'm with a friend or family member. This was a hard truth I figured out during my teenage years. There are certain relatives whom I don't talk about (and for a good reason). While I used to think they unconditionally loved me, I learned that wasn't the case. Just because you are born into a family does not require them to like you. It is a sad lesson, but one that we sometimes have to remember. However, with this, I have learned to love myself that much more. While you might not have a big family that loves you, that does not mean you are alone. Sometimes your family is not whom you were born into but the one you make. I cannot preach enough to anyone who feels alone in this world that love is out there (and it can be unconditional). For instance, I know my boyfriend loves me no matter what I do (and so does his family). They didn't have to; they chose to. Sometimes that is a better feeling than a relative loving you. With unconditional love in the mix, there is always room for forgiveness. I fight more with my family than any other person on this planet. We know what hurts the most and regrettably, use that at our disposal. I've fought with my brother more times than I can count, but we forgive each other every time. No matter what is said, if you love someone, you can find it in your heart to move on. It might not happen overnight but, with time, anything can be mended. You need a foundation of love and trust. Even if you lose the faith, if you love them you can build it back. You can't get rid of a family that easily. This lesson goes hand in hand with fighting. One lesson I have learned throughout the years is that you need to take a twenty minute cooldown period when in the middle of an argument. Sometimes we are so focused on our point we are blinded by what is going on. I cannot tell you how many times I got into an argument with my mom and, after a break, we saw the other person perspective. When you are heated, things don't come out the right way. Miscommunication is bound to happen during this anger period. By taking a step away, you give yourself a chance to think instead of getting the first word in. I use this with anyone I argue with now. If I feel myself getting hot-headed, I'll step outside for a few minutes and instantly feel better and ready to resolve the issue. This doesn't necessarily go with my family, but something I learned from the relatives I don't talk with anymore. During the holidays you are around people you don't always see. Sometimes you have a difference of opinion, and it can be difficult to converse politely. I've noticed that when any of these topics come up, someone is bound to start a heated argument. For this reason, I try to leave that type of talk out of the mix. It doesn't always happen but, if I see a relative is never going to understand my perspective (and vice versa), I end it abruptly and change the subject. There is no reason to seek out a fight if there is no reason. Leave that talk with your therapist or friend who has a similar point of view. I never ask for help. Even in grade school, my teachers would worry about me because I never sought out aid. It's a quirk I've always had and have realized that, while it is a strength, it is also my greatest weakness. My mom and boyfriend have genuinely helped me learn that it is okay to ask for aid when it is needed. This doesn't mean to burden them for money every day, but to know when it is time to let someone in. With my writing career, I have gone through many hurdles. I gave up a decent paying job to be the most broke I have ever been. While I was making things work, it wasn't going to last forever. It got to the point where I was in need and didn't know where to turn to. That is when I sought out help from my boyfriend and mom. They were beyond happy to help me out and wanted nothing in return. That is the biggest lesson. If there is unconditional love, they shouldn't want anything in return for helping you. A family is there for those situations. They want to help you out. 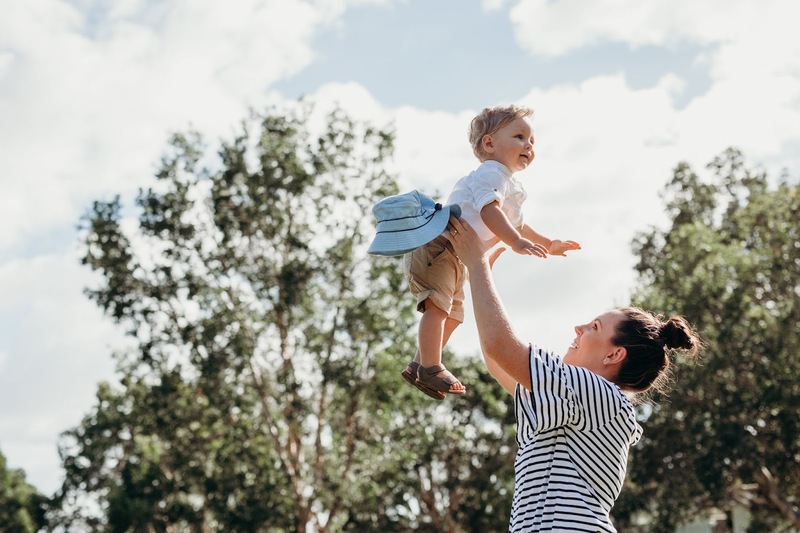 What are some lessons you learned from your family? Let me know in the comments below. Even if they are lessons you never wanted to learn, these points can help shape the person you become. I might not have the largest family, but I am grateful every day for the relatives I do have in my life. I wouldn't trade anyone in the world for my life.